Apple enjoyed long lines and strong sales of their new table device, iPad 2 this weekend. The iPad 2, which went on sale this past Friday at 5pm, generated the kinds of lines that the previous iPad and iPhone 4 created. 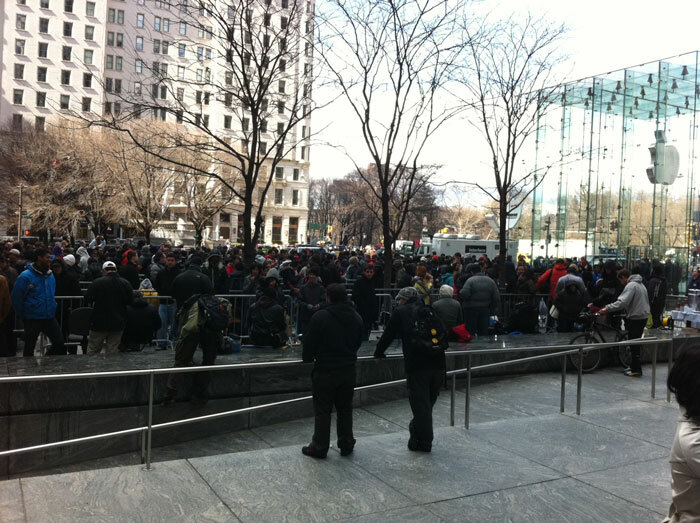 According to a post this weekend on AppleInsider.com, Piper Jaffray researcher said that there where over 1,000 people in line at Apple's 5th Ave retail store in Manhattan, New York City. Friday afternoon hoping to get their hands on the new device. Throughout the weekend, "supply checks" at various Apple retail locations and other authorized resellers indicated that the iPad 2 had been selling well and that some models had already sold out. 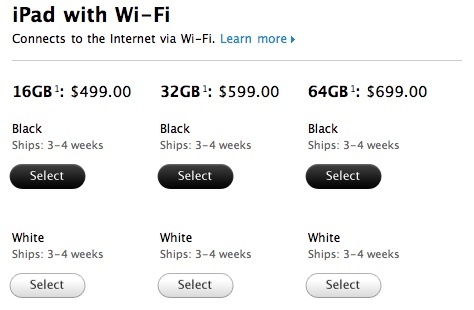 Orders placed online for any of the Wi-Fi or Wi-Fi + 3G models of iPad 2 are listed as shipping in 3-4 weeks. In the days leading up to the iPad 2 launch, Apple was not taking online reservations or pre-orders as they had done with the original iPad and the Verizon iPhone 4. As a result, the launch of the iPad 2 generated the kind of customer lines that have become almost common place for an Apple mobile device product launch. For competitors hoping to finally get product out on the market this year who had been chasing after the original iPad, the bar has just been raised that much higher. MobileMe: Paid, Free, or Somewhere in the Middle? Photo of Apple CEO Steve Jobs - With a Collar? !